According to Thomas Phinney, the CEO of FontLab, there are perhaps 300,000 fonts in the world today, contained within about 60,000 font families (representing variations of a single font.) Those 300,000 fonts are not your biggest concern; however, the fonts that are used in your own advertising – from your website to print to signage to apparel – should all be singularly consistent. Fonts are one of the key components of branding, where “close enough” or “looking nice” is just not good enough to protect the integrity of your business. There is only one font that represents such universally recognized brand names as Ford, Coca-Cola, AT&T, and Kleenex. For example, the font used in the Coca-Cola logo is called Spencerian script, a popular font in the United States from about 1850 to 1925, adapted by Coca-Cola in 1885 with special alternate character ligatures for the capital letters “C”. Needless to say, that font has shown some staying power! Also script based, the Kleenex logo is based upon the Montauk Pro Bold font, with proper kerning to connect the letters as if they were written with one continuous swipe of a marker. Fonts such as these were not chosen randomly, even though we years later think of them as everyday acquaintances. The characteristics of various fonts trigger a series of predictable emotions – from strength and reliability and trustworthiness to modernity and cutting edge and fun. These fonts then go hand in hand with color, which is also anything but random. I still own sets of the old Pantone® Process Color System swatch books that were the color reference standard in the days before the personal computer came into everyday usage. Those color values allowed designers to communicate color values with a consistency from one project to another, allowing for the matching of very specific colors on press. In theory, computers and monitors today can reproduce as many as 16.7 million colors, described as various combinations of red, green, and blue (RGB) color pixels. In practice, those colors are often difficult to share from one computer to another because identical colors may appear with considerable differences when viewed on two uncalibrated monitors. You can design your own logo, use clipart, buy one online for $79.00, or find thousands of graphic design hobbyists who will design you a logo, of sorts, for $5.00 on fiverr.com. You will get what you pay for. Work with a single designer (it is not a competition! ), expect multiple concepts and revisions, reject clip art, expect multiple formats including a vector file, and expect to pay a fair price. Ask yourself if that designer in Bangladesh or the Philippines has any understanding of the concept of camping. Franchises from McDonald’s to Kampgrounds of America (KOA) recognize the importance of consistency in everything from fonts to colors to taglines, but you do not need to run a franchise business in order to think smart like one. Once you have established your branding, it needs to be used everywhere, without exception. This includes your signage, your building exteriors and interiors, and your apparel and branded merchandise. Branding is inherently not “generic” in any sense of the word. When there is a range full of cattle that all looks alike, you need to make your cattle stand out from the rest. It’s all about branding. Most people realize that the ultimate in cyberwarfare would be for one country to take down the power grid, telecommunications network, financial industry, or military and defense networks of a foe country. There is no doubt that the United States, Russia, China and other countries maintain this capability but wisely withhold use of this “nuclear option” in cyberwarfare, although there have been instances where the waters have clearly been tested. As has been recently demonstrated, cyberwarfare tends to take a much more subtle and individualized approach, exploiting weaknesses in things like social networks and ballot tabulations. The same sort of approach, where individuals are targeted, is generally practiced in cybercrime, the aggressive bully that is the awkward little stepbrother of cyberwarfare. Cybercrime takes a variety of forms but generally targets either individuals or individual companies. Small businesses, where there is often only a subtle distinction between a business and its owners, can be particularly vulnerable. In most instances, the criminal activity exploits vulnerabilities in the security practices of the target. These vulnerabilities include the failure to apply software patches and updates, unsecure office practices, and the use of weak, old, and/or repetitive passwords. The results include the easy entry of computer viruses and malware that can turn a computer into a bot on a criminal network or install ransomware that will hold a computer and its files hostage. The same vulnerabilities lead to the proliferation of phishing attempts and other email and telephone scams where the senders or callers impersonate trusted companies in an attempt to obtain passwords, secure information like social security numbers, your credit card numbers, or remote access to your computer. One of the latest trends in cybercrime exploits a combination of known hacks and personal fears and anxieties. As most of us know, there have been a number of major websites that have been hacked in recent years, some instances more widely publicized than others. The ultimate victims are the individuals whose personal data has been breached and compromised. The term “pwned” originated in early online gaming as a typographical error in the word “owned”. If you have been “pwned”, it means that your personal information is now “owned” by others. To see if your personal data has been “pwned”, visit the “Have I Been Pwned?” website and enter your email address. At the time of this writing, there are 296 websites that have been “pwned” with over 5 billion accounts compromised. Some of the websites that have been hacked include Adobe, Ancestry, Avast, Comcast, Dropbox, Exactis, Experian, Forbes, Kickstarter, LinkedIn, MySpace, River City Media, Snapchat, Ticketfly, tumblr, and Yahoo. This list includes websites that you have probably used, and in all likelihood, your personal information has almost certainly been hacked. In my own instance, my email address has been compromised in 10 of these major hacks, most recently the Exactis hack in June 2018. That recent hack disclosed credit status information, dates of birth, email addresses, income levels, marital statuses, names, phone numbers, physical addresses, and much more from 340 million personal data records. 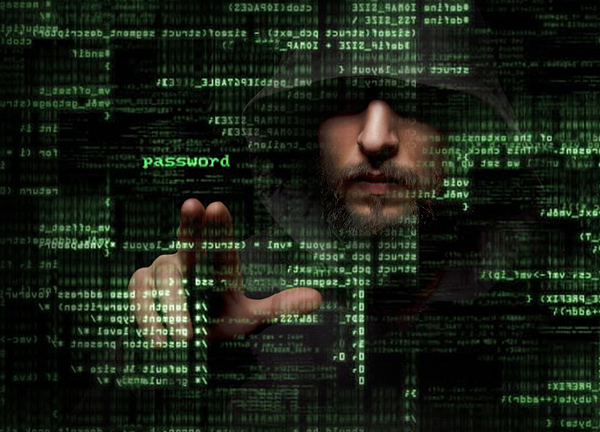 Stolen passwords are then readily exchanged, sold, or even made freely available on a number of forums and so-called “pastes”, utilized by cybercriminals who are well aware of the human tendency to reuse usernames (many simply the users’ email addresses themselves) and passwords across a variety of websites. Security breaches like the Yahoo and Dropbox hacks go back to 2012. Although savvy Internet users will have changed their passwords on those sites long since then, if those same passwords were used on other websites, the vulnerability remains. More recent hacks will expose passwords that are currently in use, demonstrating a strong argument in favor of changing passwords on a regular basis. With this combined background information in mind, you will understand how I felt both alarmed and violated when I received an email one evening back in July that made it past the Gmail spam filter. The subject line included a username and password combination that I frequently used 10 or 15 years ago, indicating that somebody had gained access to my personal information, even though it no longer represented valid credentials. The email had successfully caught my attention and, at first glance, seemed like there could be cause for concern. It went on to allege that a visit to pornographic websites led to the installation of remote access and keyboard logging software on my computer that gave the hacker complete access to my email and social media address lists, as well as my computer’s microphone and camera. Cutting to the chase, the sender was threatening to send a compiled split-screen video of the sites I had visited, along with my “interactions” with those sites, to my friends and family members as allegedly compiled from access to my computer. The only way to prevent this from happening was to pay $3,200.00 in Bitcoin (a cryptocurrency that is popular with online thieves) using a key that was provided. The facts that I do not spend my time visiting pornographic websites, do not have either a camera or microphone installed on my computer, would immediately know if somebody had remote access to my computer, my passwords are highly secure, and Trend Micro Maximum Security software shows that my computer is free of any malware, spyware or viruses, still left me feeling personally violated. The following morning, I spoke with an agent at the Federal Bureau of Investigation’s Boston field office who told me that this extortion scam had been circulating quite widely throughout the month of July 2018. (In fact, I found a variation in my spam folder a couple days later, with this second thief only seeking $250.00 in Bitcoin.) The agent also told me that there were people who reported receiving variations that were sent through the mail. I also have friends and clients who told me that they have received the same sort of email during the same time period and as recently as last week. I went on to file an online complaint with the FBI’s Internet Crime Complaint Center, commonly referred to as the IC3. There is also a page on the Krebs on Security website that outlines the “Sextortion” scam and currently includes nearly 1,000 comments from people like me who have received the emails and are trying to warn others from falling victim. Be aware that your personal information has been stolen, probably on multiple occasions. Your personal information can be used in extortion attempts. Minimize vulnerabilities on your computer and run up-to-date security software. Never trust any email that sets a deadline or seeks payment in cryptocurrency. Never make an extortion or ransom payment. Notify legal authorities if you are a victim. It is challenging enough running a small business these days. Nobody needs to waste time, worries, or money with the perpetrators of online scams, who are going to continue to evolve into using more creative and credible formats. 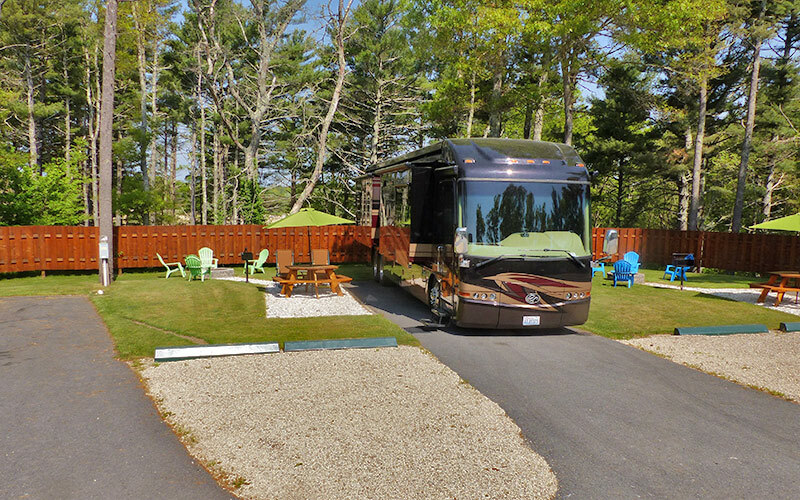 An email that recently made the rounds among campground owners encouraged them to “renew” their advertising on the Go RV Park website. In instances that were called to my attention, Maryland campground owners were provided a link to a page where they could see their advertising located, along with a $49.00 renewal price. The email also stated that the website had “acquired the Maryland Campground and RV Park Directory Inc. and SW Publications Nationwide.” At first glance, $49.00 sounds like a good deal, and the fact that your park (and every other park whose data has been harvested) is already listed makes the “renewal” make sense. Take a second glance before reaching for your wallet. The “Maryland Campground and RV Park Directory Inc.” does not exist to my knowledge, although it sounds both legitimate and oddly similar to the directory of the Maryland Association of Campgrounds. Then, “SW Publications Nationwide” is another company that appears to be both nonexistent but very similar to “Southeast Publications”, a well-recognized vendor within the campground industry. Many of us tend to miss the little details, and many people who read “SW Publications” mistakenly interpreted that as “Southeast Publications”. Finally, the GoRVPark.com website sounds confusingly similar to the GoRVing.com website that is a partnership of the RVIA, the RVDA, and National ARVC. In addition to your own listing and compiled listings of every other campground, the website features banner ads for industry giants that include KOA, ELS, Good Sam, Bass Pro Shops, and Walt Disney World’s Fort Wilderness Campground. This certainly suggests legitimacy, but who says that any of those businesses paid for, authorized, or might even be aware of their ad space (at least until now)? Back to the $49.00 “renewal” price, that would truly appear to be a bargain. The company’s website offers a $149.00 advertising fee and says that “This $149.00 yearly price is for a LIMITED time only. RV Parks, Campgrounds & RV Resorts who sign up NOW will NEVER be subject to the regular annual cost of $499.00 per year.” Interestingly enough, this exact wording appears on the earliest appearance of the website on the Internet Archive, when it was apparently launched in 2010. How can this possibly be a “LIMITED time” offer? To further suggest its authenticity, the website claims that “Go RV Park is the #1 Google ranked portal and intuitive network of websites for RV information.” Beyond the fact that this gobbledygook is total nonsense, a Google search for “RV information” shows the website totally missing in action, at least on the first 10 pages of search results. Fortunately, the assessment that I provided to the Maryland Association of Campgrounds was shared with its membership as well as National ARVC, which issued a press release warning members to read their emails carefully before responding to this type of offer. Another type of email that is not specific to the campground industry but seems to continually make the rounds are the ones that scare recipients into believing that their domain names are ready to expire and need to be renewed immediately. Only the fine print (which many people either skim or do not read) explains that the senders are not domain name registrars but are selling highly suspect “traffic generator software tools”, implying that failure to pay for the “search engine optimization service by the expiration date, may result in the cancellation of this search engine optimization domain name notification notice.” (Don’t think for a minute that anything you do will stop these email notices!) Along with a number of payment links and the recommendation to “Act immediately”, the recipient will typically misread the words “Failure to complete your SEO domain name registration search engine optimization service process may make it difficult for customers to find you on the web.” This statement means absolutely nothing, but many people think that their domain name registration is ready to expire, or that their listing on Google is ready to suddenly disappear, and pay the fee (typically $84.00 or $86.00) before they realize their mistake. Fortunately, most reputable email service providers (such as Gmail) send these solicitations into spam folders. Another email scam is the one that sells compiled email lists. They usually state that the lists are “opt-in verified, 100% permission based and can be used for unlimited multi-channel marketing.” One that I recently received began with the words, “Greetings of the day! Would you be interested in acquiring an email list of ‘RV Owners List’ from USA? (sic)” Another that came in within the last 48 hours offered “100K Email Marketing only for $160 USD, regular price $360 USD” or “900+ Million World Wide Email List only for $75 USD, Regular Price is $450 USD (sic).” Unless you like receiving spam yourself, want to get your email account closed, want to have an email marketing account terminated, and want to be reviled by most recipients, do not even think of buying or using a compiled list. Again, most of these solicitations end up on spam folders themselves. Confusion over email scams like these is quite valid, as evidenced by the dozens of emails that clients have forwarded to me, wondering whether or not the emails are legitimate. Scammers like these profit tremendously if only a small percentage of recipients fall for the bait, and knowledge like this is your best defense against becoming victimized. Put Directory Advertising to Work! This is the time of year when ads are due for next year’s print advertising in state campground association directories, local tourism agency guides, and big national directories like the Good Sam Directory. Unfortunately, most of us have too much on our plates, too many hats to wear, and too many balls to juggle. Pick your excuse, but then pause before you simply renew your ad from last year, and the year before that, and the year before that. Too many of these decisions are based almost solely upon how much money we are willing to spend, failing to treat advertising as a well-planned investment. If you are satisfied with the status quo in your advertising, it must mean that you are content with your current volume of business. On the other hand, if you are seeking to grow your business, sometimes it is necessary to shake things up with your advertising. Even if your park is booked to capacity for most of the year, there are ways to reach out to new markets that might make the occupancy of a fixed number of campsites more profitable. Thumbing through the pages of the 2018 campground directory for one of the larger state associations, I am seeing 1/16 page ads with dark text that is almost unreadable against dark background photos, poor quality photos, excessive amounts of text that can only be read with the help of a magnifying lens, and a serious lack of coherent design. I am also seeing ads that, regardless of size (but not 1/16 page! ), command attention and stand out from adjacent ads where the only thing in common is the cost of the advertising space. A well-designed ad should be part of a carefully executed marketing campaign. It should mirror the design and objectives of your website, collateral advertising, social media content, and overall branding. Even if your park is part of a franchise like KOA or Leisure Systems, you will want to capitalize upon the dollars that the corporate offices spend on national advertising campaigns, maintaining a consistency with their branding specifications and quality standards, while singling out your park’s individual identity and key selling points. It involves more than including the KOA logo or Yogi Bear graphics in an otherwise disconnected ad. My best advice is to avoid trying to design ads yourself. You cannot design your own ad using software like Microsoft Word or Publisher and expect it to be press quality. There are too many details that cannot be properly fine-tuned using that type of non-professional software. You will also want to resist the urge to save money by having the directory publishers design your ads in-house. Almost without exception, the most highly skilled graphic designers are not designing free ads in that type of production-oriented environment. Finally, you do not want to take your chances with a freelance from a site like Fiverr.com who knows nothing about your business. All of your ads should reinforce one another with a consistency that steadily builds your brand awareness. If you are not already using a marketing company that has developed an overall marketing strategy for your park, consider hiring a local graphic designer who is experienced, has a solid portfolio, and has a proven track record. Even the best designed ad can leave you with lingering questions regarding its effectiveness. With online advertising, running Google Analytics on your website can pretty clearly demonstrate how much traffic is coming from referring sites. It is quite possible that your analytics will show that an expensive Good Sam ad is a far better value in terms of cost per click than an inexpensive ad that sends little or no traffic to your website. With print advertising, it is far more challenging to measure results, although you may consider using unique website landing pages and unique phone numbers (either local or toll-free) using a call tracking service provider. Never allow an ad to print without seeing a proof, and always get a second set of eyes to proofread, because we rarely catch our own errors. If anything needs to be corrected, demand to see a new proof. Ask if any discounts are available. These might include a 15% agency discount and early payment discounts. If color is available, ask for it at no extra charge. Advertising rates are frequently negotiable. Ask for preferred ad placement. This generally means right-hand pages, with your ad adjacent to related editorial copy, not placed on a page with nothing but other advertising. Negotiate this premium ad space at no charge, as either a new advertiser or a loyal advertiser. Learn to say no, but also learn to say yes. Do not waste money on advertising that is not a natural fit for your business, but remain open to exploring new opportunities. Keep it simple. When it comes to ad content, less is usually more. Avoid the temptation to include the kitchen sink, but keep in mind that “white space” is not necessarily white. Include an incentive and a call to action. The incentive may be strictly emotional, and the call to action may be finalized online, following a link to your website. Print advertising is alive and well, but plan it carefully to ensure that it will be as effective a component in your marketing mix as possible. In recent months, I have been taking the “10 Steps for Securing Your Digital Identity” seminar – that I first presented at the National ARVC Outdoor Hospitality Conference & Expo in Raleigh in 2017 – on the road, with presentations before several state association meetings. The information in the seminar, drawing parallels between the 2017 Equifax security breach and the risks that face small businesses like yours and mine, seems to continually grow timelier with each presentation. Equifax has admitted that more data was compromised than was originally disclosed, the Internal Revenue Service (which cancelled a no-bid contract with Equifax) urged taxpayers to file their returns as early as possible in 2018 because a stolen identity can lead to a stolen tax refund, and Facebook admitted that it profited from personal data that was exploited by Cambridge Analytica for nefarious marketing purposes. That latter instance forced Facebook CEO Mark Zuckerberg to uncomfortably don a suit and tie, and led to the May 1, 2018 announcement by Cambridge Analytica that it was shutting its doors and initiating bankruptcy filings in both the United Kingdom and the United States. Some people have suggested disconnecting from the Internet and deleting their social media accounts. The former suggestion is highly impractical in today’s interconnected world, and the latter suggestion – perhaps laudable – in unnecessary if some common sense precautions are exercised. Let me share just two of the highlights from my seminar that will help you to secure your digital identity. There is no easier way to ensure that your identity will be compromised than by using weak passwords, the same password for more than one account, or a password that you have not changed since the sun started rising in the East. A weak password is like the old skeleton keys that could open every door in the neighborhood when I was a child. If you think that your password is secure, you can quickly test its strength online at https://howsecureismypassword.net/. You do not want a password that can be cracked in seconds, minutes, days, weeks, months or even years, but a password that would require millions, billions or trillions of years to crack. I recommend tools that generate secure random passwords, such as the one at https://passwordsgenerator.net/, where secure passwords typically consist of a minimum of 16 characters that mix upper and lower case letters, numbers, and special characters. Another option is to use four totally random and unrelated words in succession, such as kitten, faucet, maple, and magnet: kittenfaucetmaplemagnet. According to the online test, that example would take 277 trillion years to crack. The only problem is that most of us find it difficult to think in such a random manner. However, if you make a conscious effort, you can generate a highly secure password that should be relatively easy to enter into a keypad. The most common complaint even then is that secure passwords are difficult to remember. The solution is to use one of several available password safes, including LastPass, Dashlane, and Keeper. These all work with Windows, Mac, iOS, and Android operating systems, have plugins for popular browsers, include two-factor authentication, offer fingerprint login on mobile devices, and have free versions which are usually all that you need. You only need to remember one highly secure master password. Even if that master password could somehow be hacked, nobody could log into your account thanks to two-factor authentication. If somebody attempts to log into my own password safe (which has happened more than a dozen times from hackers around the globe), they would have to know my master password (good luck! ), then – because they would be logging in from an unrecognized device or IP address – they would also need to steal my phone AND know how to unlock that device in order to enter the two-factor authentication. What are the lessons to be learned by your small business? First and foremost, it is critical to run the latest operating system and updates on all of your computers and mobile devices. If you are running a Windows computer, this means running the latest version of the Windows 10 operating system. Microsoft’s support for Windows Vista ended on April 10, 2012; support for Windows 7 ended on January 13, 2015; and support for Windows 8/8.1 ended on January 9, 2018. If you are running any of those operating systems, your computer and the files that it contains are at high risk. It is also important to be running the latest version of Internet browsers, such as Chrome, Firefox, Edge, and Safari; plug-in software such as Adobe Reader, Adobe Flash Player, and Java; and a reliable anti-virus software suite from companies like Avast, Trend Micro, Webroot, or Bitdefender. Hack attacks are continuous and ongoing, seeking out vulnerable passwords and vulnerabilities in software. Without taking basic precautions, you could become the next victim of identity theft, be subjected to ransomware demands, have your credit card information stolen, or compromise the personal information of every one of your customers. The resulting impact could be devastating for your business. The days have long past when any business, large or small, can afford to take anything less than a vigilant stance when it comes to securing its digital identity.